Porsche’s esteemed head of Research and Development, Wolfgang Hatz may be forced out of the company as part of the fallout from the VW Group diesel emissions scandal that has rocked the automotive world since Monday. After taking up his current role within Porsche in 2011, Hatz (who previously worked at Weissach in 1989 as part of the F1 engine development team) has overseen a number of successful projects, including the Nürburgring lap record-holding Porsche 918 Spyder. However, if reports in German newspaper, ‘Bild’ are to be believed, Hatz will be forced to resign from his role, following Volkswagen Group CEO, Martin Winterkorn, who tendered his resignation yesterday afternoon. Wolfgang Hatz oversaw the team that created the Porsche 918 Spyder hybrid hypercar that currently holds the lap record around the Nürburgring Nordschleife. 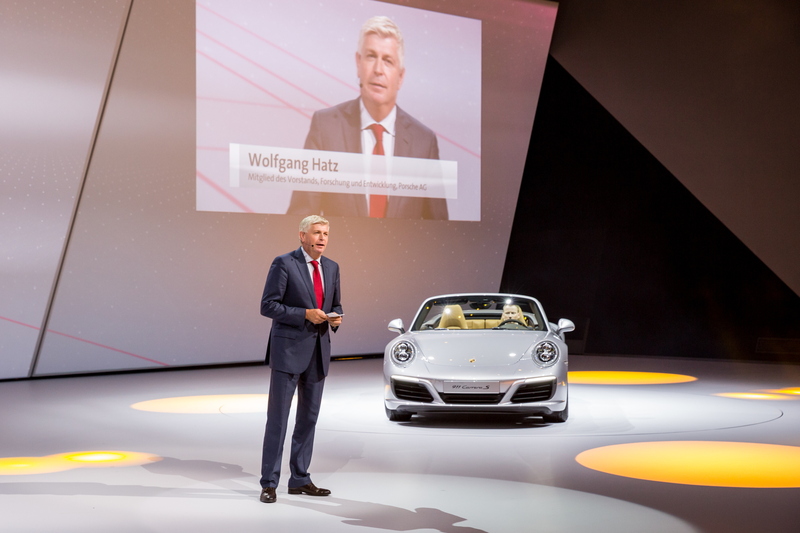 Hatz joined VW Group in 2001, rising up to become the Head of Engines and Transmissions in 2007, a role he holds concurrently with his place on the board at Porsche AG. Should he be forced out at Volkswagen, it is likely that Hatz would have to leave his position as Board Member for R&D at Weissach. This could start a period of upheaval at Porsche as CEO and Chairman, Matthias Müller is one of the favourites to replace Winterkorn at the top of VW Group. The whole situation arises through the revelation on Monday that around 500,000 VW and Audi cars using the latest 1.6 and 2.0-litre TDI diesel engines feature ‘defeat device’ software that has allowed them to cheat during US emissions tests. For all the latest Porsche news, make sure you bookmark Total911.com now. Last week, before the VW emissions scandal broke, Hatz was on hand to launch the next generation Porsche 911 at Frankfurt.